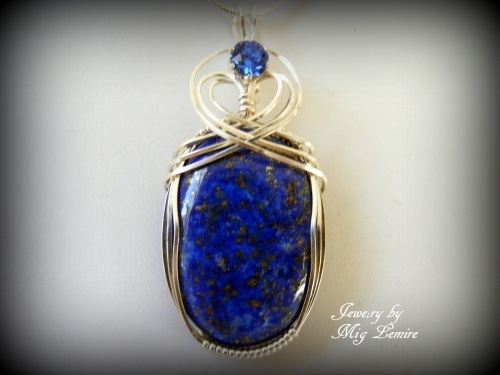 This dramatic Lapis Lazuli gemstone is accented with a 3/4 carat faceted blue sapphire colored crystal also accented with a Celtic weave in sterling silver. This is a very unique piece and a must for any person that loves blues. Piece measures 2" from top of bail to bottom of gemstone and 1" wide. Comes with a sterling silver snake chain.